One of the most important rules in business is to do what you do best, and let others do the rest! Whether you are a start-up or an established business, A.I.M Accounting offers a range of services to help your business maximise opportunities for growth, improve financial performance and manage risk. We provide advisory services on a broad range of issues at an individual and corporate level. We’ll work with you to create a successful business and provide objective advice specific to the needs of your business. 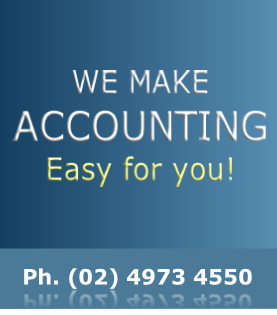 Our position as registered tax agents enables us to act on our clients’ behalf in dealing with the Australian Tax Office and we offer help and advice with all tax and related issues such as Business Activity Statements and GST. Advising on the right software systems for you. Preparing financial statements and tax returns not only for compliance, but also as a measurement and planning tool. Click one of the links on this page for more detail on various services.